The things that gets me with the Repco head is they had a golden opportunity to have individual inlet ports instead of three siamesed ports!!! Why oh why did they make totally the wrong decision??? The Valiant Hemi 215, 245 & 265 all had individual ports. Why would someone make a head like pictured and not make it a cross flow? 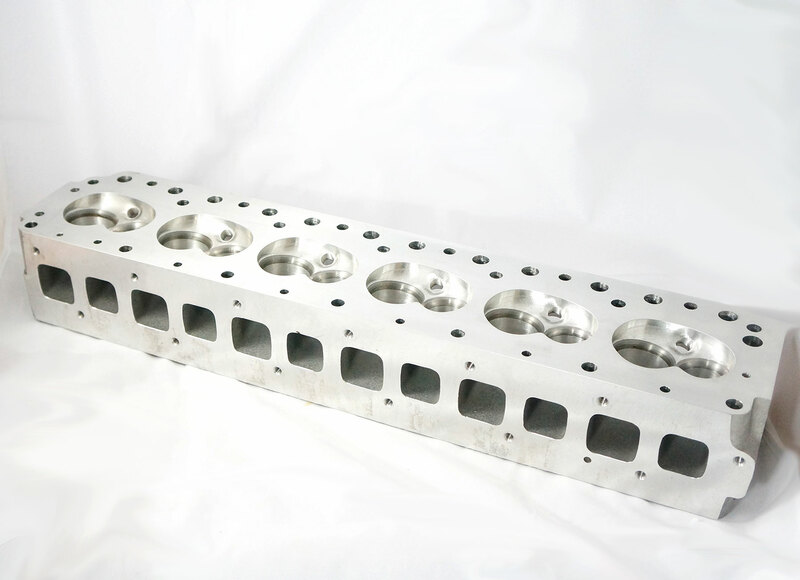 The pictured head is an aftermarket head designed as a direct fit improvement on factory. But initial design, because Chrysler Australia engineers copied the open chamber Cleveland head but needed to not make that so obvious! "...Interestingly , the Rolls Royce Merlin Mk 1 engine used the same ramp head as they called the design used by Repco ,it did not go past development ,the mk2 that did go into production had parallel vertical valves [both were four valve]." the fuel quality needed back in the day. Chrysler didn't copy anything from Ford. C already had the poly head & the Hemi, dating back to the early 1950s, for ideas. Further, design of the inline Aussie 'Hemi' started in early 1966, loooong before there was a twinkle in anybody's eye at Ford about the Cleveland design. As far as state of 'tune' of the Repco head v C, look at the #s, very close. Peak power & tq for the Repco 5500, 4000 rpm; E49 Hemi 5600,4100. Not some 7000 rpm screamer. The E49 was a success because Chrysler got it right, as Chrysler does. my father and uncle both started at chrysler here in lonsdale in 1966 and 1967 respectively. So i have great respect for our local product. I can tell you there was a LOT of spying, buying, comparing between the big 3 here at that time. Nothing to be ashamed of, they all did it! But, every time i see a hemi head i cant help rev up the Chrysler boys as they are a very patriotic and sensetive bunch, once they convince me its no Clevo copy , lol! I follow with , ah !! Its obvious that its a ford 240/300ci 6cyl copy! Gets a bite every time, just good fun. And on that note, the E49 was a sucsess because C.A.L. could not get it right and knew it!, and that is why they got the Italians to finish sorting it for them!, and yes they did a fine job. And , why do all the chrysler boys say the E49 was faster than the GTHO? But when they try to prove that they show the 1/4 mile times for the GT not the GTHO?! 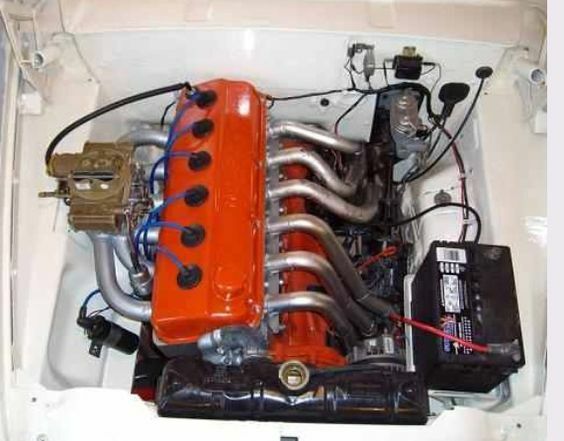 Interesting link to the designed in USA 6cyl Valiant Hemi! I guess that I don't understand why Chrysler Aust. didn't install real 1950's MOPAR V-8 designed, (but made for 6 banger's), Hemi heads on their straight 6 cylinder engines. They would have had cross flow and a true Hemi shaped chamber. Pleas tell more here, I want to learn! If so, do you have any tech info. on it? The split Headers for the front 3 cylinders on that phantom Chinese Six "Hemi" look like Harry Millers exhaust design for the '35 Indy Fords with zero clearance (scuttled the Fords chances with steering gears seizing) doubtful that Mopar steering gear could work for more than a day before it was destroyed by the heat ! The Hemi 6 uses a pedestal system. Valve stems canted but all in one plane. From Top Aussie Supercars testing, tested all the Aussie muscle cars of the era. Fastest: E49 Charger, 14.4 secs. With these comments: " You can drive around town at a steady 1500 rpm-30mph- & never feel the need to change down unless you want hard acceleration." Fuel consumption overall 13.8 mpg, cruising 15-17 mph. Phase III GTHO Falcon. 14.7 sces. With these comments: " ...it will crawl along from 1500 rpm in top...[but] doesn't entirely hide it's displeasure..". And: " This sort of of low speed flexibility was NON_EXISTENT in the old car. It bucked & shook at 40 or below." Heck ,, the GTHO is getting even slower as the years roll on!